Roses are loved and known the world over. 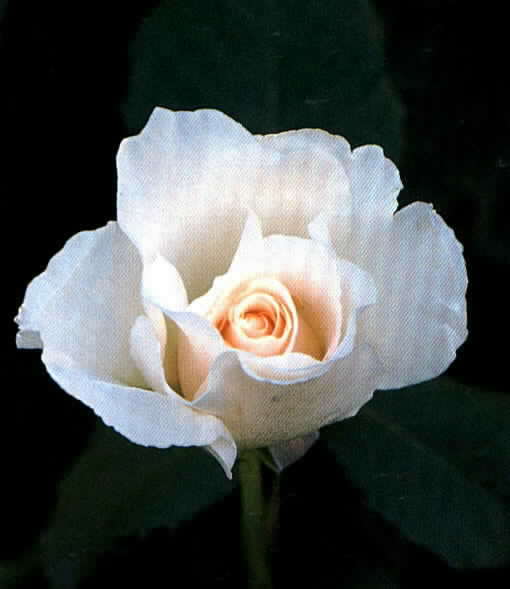 For the moon garden a white or the palest of pink blooming variety would be attractive. With hybridization there are now hundreds of varieties to choose from. A shrub form would do nicely as a center piece to your garden. Also, a vine growing rose would be nice over a trellis to add architectural interest to your own moon garden.